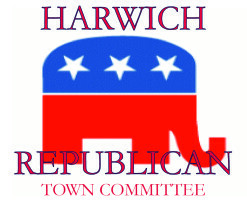 The purpose of the Harwich Republican Town Committee is to promote the principles of the Republican Party, to cooperate in carrying out the program of the Republican State and the Republican National Committees and to promote the election of Republican Candidates. The HRTC welcomes all conservative friends in Harwich. I BELIEVE the strength of our nation lies with the individual and that each person’s dignity, freedom, ability and responsibility must be honored. "Kim Strassel has a terrific column on the Mueller report in her weekly Wall Street Journal column this morning. Kim writes: 'What the report shows is that he endured a special-counsel probe that was relentlessly, at times farcically, obsessed with taking him out. What stands out is just how diligently and creatively the special counsel’s legal minds worked to implicate someone in Trump World on something Russia- or obstruction-of-justice-related. And how—even with all its overweening power and aggressive tactics—it still struck out.'" Harwich Town Meeting will be held May 6th and May 7th. The earliest town meetings were a celebration and everyone attended. Currently in Harwich decisions at town meeting are made with an average of 350 voters out of approximately 8,000 registered voters. In the town meeting process your single vote could make a large impact. By participating you have a voice in deciding how tax dollars are spent. Other votes and decisions will guide Harwich into the future. What kind of town do you envision? Below we highlight some information for your consideration regarding this years Town Meeting warrants . The entire warrant can be viewed by using this link. We have provided a graph showing the town’s proposal for spending tax dollars. Articles brought forth through citizen’s petitions. C. Ban on flavored tobacco products. Hope to see you there - every vote counts.